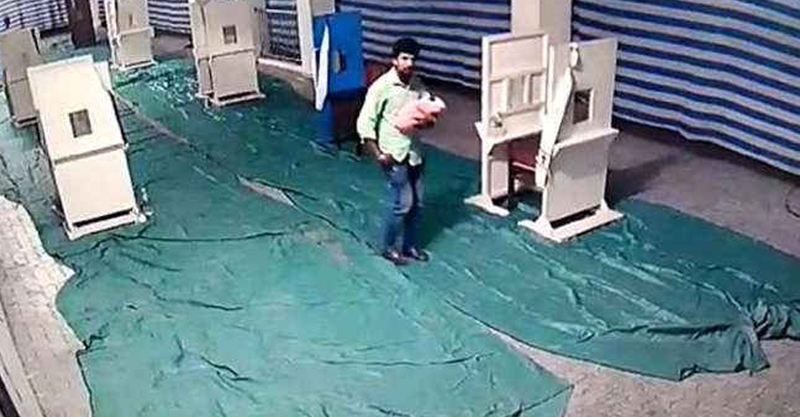 A 32-year-old man, who abandoned his newborn baby at a church in Kochi, allegedly committed the offence out of fear that he would be shamed socially for siring a fourth child, police said today. In his statement to the police, Bitto, the father of the baby, said that his friends and locals ridiculed him when his wife became pregnant for the fourth time. Fearing insult from the public, we abandoned the baby, Bitto said in his statement to the police. However, police have not taken his statement at face value. Bitto has three boys aged eight, six and three. The fourth baby, a girl, was abandoned at Edapally. The baby, which was born at 3 am on Friday, was brought to Kochi the same night and abandoned at the church. Police said that the couple escaped from the hospital without striking off their names. The accused, who was brought to Elamakkara police station, is being interrogated. Thrikkakara Assistant Commissioner PP Shams said it has been confirmed that Bitto and his wife abandoned their baby. More evidences need to be gathered on the incident, he said. Police arrested the accused from his house in Vadakkancherry on Saturday morning. Bito’s wife was not taken into custody considering her health after childbirth. Bitto’s wife’s relatives have been asked to bring her to the police station. It is learnt that her arrest also will be recorded after she reaches the police station. The couple abandoned their newborn baby at the parish hall of Edappally St. George Church on Friday night. The visuals of the couple arriving at the church by 8 pm on Friday and leaving the baby in the parish hall were recorded in CCTV. The church authorities checked the visuals after they found the baby and informed the police. The CCTV visuals shows a young man holding the hands of a 3-year-old child and a woman carrying the baby coming to the church. After a few minutes, the man is seen entering the parish hall and leaving the baby ensuring that no one was watching them. He also kissed the baby before leaving.